With the blatantly undeniable presence Uprise Audio has asserted over the past few months, I’m sure the title of this feature was nothing unbeknownst to any of you readers. Seven and his family of producers/promoters/DJ’s/etc. have been a shining example of passionate dedication and the favorable results said characteristics produce. From their records flying off the shelves to their crew leaving each city they touch fiending for more Uprise, the label has established its position within the dubstep underground – the top. After releasing three singles, the label announced its debut album – ‘Live From The Future’ – which is due out mid-October of this year. Harnessing the talent of both established and emerging artists, the album will be a superbly balanced collection of music giving hint to the label’s near future direction. The label has put out an album sampler featuring tracks from label boss Seven, and extremely talented Wayfarer. Seven’s track features the vocals of Joe Raygun and bolsters the album’s title, creating a mood beyond suiting, with lushly reverberating chords backed by atmospheric warmth that genuinely has the power to lift your soul to a realm distant from anything sentient. The engineering of his mid-frequencies create an element of emotion that sidesteps the too commonly heard aggressive reese growl, providing listeners with something clean and refreshing. The beat sets a precedence of cutting-edge production standards and emotive appeal. Wayfarer has literally taken the scene by storm with his track ‘Reflections’. VIVEK giving it the rewind treatment at System is a testament to the immense power this beats holds. The percussive mastery that Wayfarer has gained through years of drumming prior to his involvement in the dubstep scene bleed through the mixdown with hit after impeccable hit. This, like ‘Live From The Future’, hits you deep in your soul courtesy of the overwhelmingly powerful vocals and the < 60hz warmth that vibrates through the airwaves. It’s really a trip to think what else this album will consist of with these two tracks being some of the most noteworthy within dubstep over the past few months. 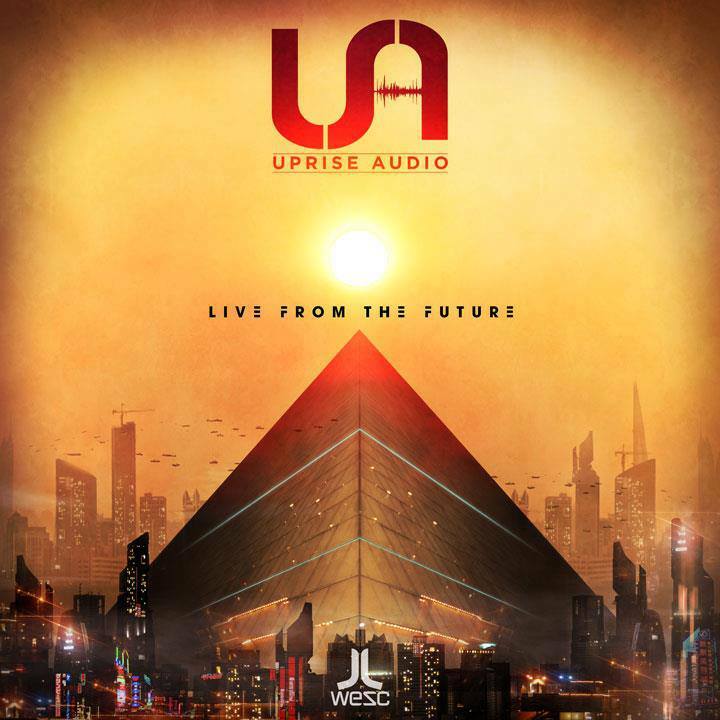 This entry was posted in Artist Highlight, Dubstep, Record Labels and tagged Bassweight Society, dubstep, Joe Raygun, Live From the Future, LP Sampler, Seven, Uprise Audio, Wayfarer. Bookmark the permalink.